What does a newspaper company do when it loses its affiliation with a major vertical brand? That was the question for The San Jose Mercury News and some of the other Digital First Media papers on New Years Day, when the company’s partnership with Cars.com ended. The Digital First newspapers knew that most car dealers wouldn’t want to abandon an existing relationship with a partner like Cars.com, a major source of leads and online presence. The answer? Change the value proposition that local car dealers had with the newspaper. For instance, it could complement the Cars.com relationship by developing a service agency-like model. Specifically,it could track where the dealers’ leads came from, and provide actionable information about these active car shoppers. To this end, Digital First signed up with Cupertino-based TapClassifieds, and its growing, 15 person TapClassifieds Auto division. As part of its program, TapClassifieds evaluates websites, landing pages, text emails and credit applications as they come in. It also clean ups a dealer’s inventory to make landing pages more aesthetic, and to track results. Tracking dealer results from Craig’s List — a major channel for dealer visibility and source of leads — has proved especially important. The site switched to a premium classifieds model Dec. 3, killing a dealer’s ability to “spam” the site — along with a dealer’s rivals. Consequently, dealers needed to review their efforts on Craig’s List, and pursue alternatives. “It’s a far cry from the old days, when people would just want to see inventory,” said TapClassifieds COO Jeff Herr, a longtime digital newspaper vet who left MediaNews Group two years ago to join the startup. “There are many, many tasks that you need to do to support the dealer. We are a service bureau.” Pricing for the service runs $15 per month per car, adds Herr. 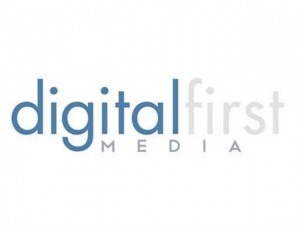 Digital First has been testing the model with Bay Area auto dealers, and it has now announced a strategic partnership to take the program across all of its markets. DFM properties in Philadelphia, Connecticut, Texas and New Mexico are already up and running. For TapClassifieds, Herr says that autos are the tip of the iceberg. RV Dealers, real estate and vacation rentals will each launch soon. “Real estate is unplowed Earth,” he notes.